Serving your needs and protecting your personal information are priorities for NorState Federal Credit Union. We do not sell or provide personal or account information to third parties for telemarketing or any other independent use. To offer you financial products and services that help you achieve your financial goals, we may, however, share information with selected companies that help us provide services and process your transactions. Under these arrangements, we may disclose all the information we collect, as described below, to those companies that perform marketing or other services on our behalf or to other financial institutions with whom we have joint marketing agreements. To protect our members' privacy, we work only with companies that agree to maintain strong confidentiality protections and limit the use of information we provide. We do not permit these companies to sell to other third parties the information we provide to them. 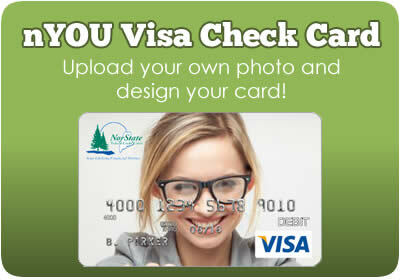 What does NorState Federal Credit Union do with your Personal Information? We may also disclose information we collect about you under circumstances as permitted or required by law. These disclosures typically include information to process transactions on your behalf, conduct the operations of our credit union, follow your instructions as you authorize, or protect the security of our financial records. If you close your membership with NorState Federal Credit Union, we will not share information we have collected about you, except as permitted or required by law. We restrict access to nonpublic personal information about you to those credit union employees who have a business purpose in utilizing your data. Our employees are trained in the importance of maintaining confidentiality and member privacy. To protect your nonpublic personal information, we maintain physical, electronic and procedural safeguards that comply with federal regulations and leading industry practices. If you have any questions about this statement or if we can help you in any way, please call Member Services at (800) 804-7555. Personal information transmitted to NorState FCU may be used by credit union staff to respond to questions about service or information, or to improve the service the we provide. Since e-mail messages may not be secure against interception by unauthorized individuals, you may want to call us or write to us when it is necessary to provide sensitive or personal information. Likewise, we will not transmit sensitive or personal information that can compromise or violate a user’s privacy when communicating via e-mail. 1. Rate Information. The Dividend Rate and Annual Percentage Yield on your accounts are set forth above. The Annual Percentage Yield is a percentage rate that reflects the total amount of dividends to be paid on an account based on the dividend rate and frequency of compounding for a 365 day period. The Dividend Rate and Annual Percentage Yield may change monthly as determined by the Credit Union's Board of Directors. 2. Nature of Dividends. Dividends are paid from current income and available earnings after providing for the required reserves. The Dividend Rates and Annual Percentage Yields are the prospective rates and yields that the Credit Union anticipates paying for the applicable dividend period. All the above accounts are variable rate accounts. The rates will be adjusted at the discretion of the Board of Directors of the Credit Union. The Credit Union reserves the right to change dividend rates at any time. 3. Compounding and Crediting. Dividends will be compounded and credited as set forth above. The Dividend Period for each account is set forth above. The Dividend Period begins on the first calendar day of the Dividend Period and ends on the last calendar day of the Dividend Period. 4. Accrual of Dividends. Dividends will begin to accrue on cash deposits on the business day you make the deposit to your account. Dividends will begin to accrue on noncash deposits (e.g. checks) on the business day you make the deposit to your account. If you close your account before the end of the dividend period, accrued dividends will be paid. 5. Balance Information. The minimum balance required to open each account is set forth above. Dividends are calculated by the Average Daily Balance method which applies a periodic rate to the Average Daily Balance in the account for the period. The Average Daily Balance is determined by adding the full amount of principal in the account for each day of the period and dividing that figure by the number of days in the period. 6. Account Limitations. Account limitations for each account are set forth above. For Share/Savings, Clubs, and Money Market/Flex accounts in which transfer limitations apply, no more than six (6) preauthorized, automatic or telephone transfers may be made from these accounts to another account of yours or to a third party in any month. If you exceed these limitations your account may be subject to a fee, or may be closed. 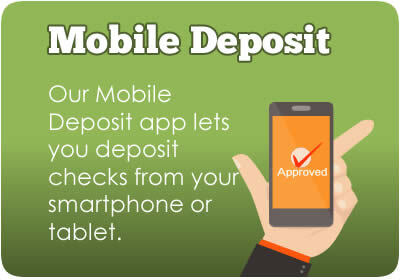 For a Money Market/Flex account a minimum of $500 can be withdrawn or deposited. This web site and the information it contains are presented as a service to credit union members and the general public. While we have attempted to ensure that the information presented is accurate, errors may nonetheless occur. We assume no responsibility for any person's reliance on the information presented on this web site for any purpose.